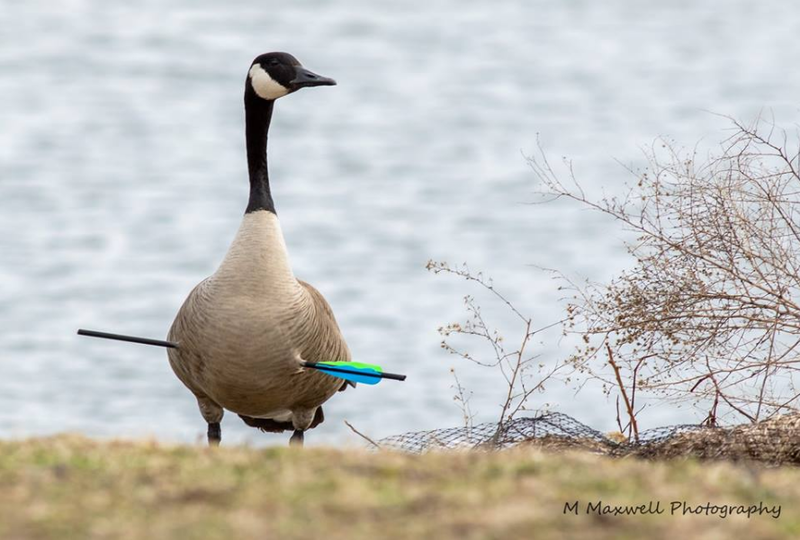 A Fall River man spotted a goose in the city shot by an arrow. According to Mark Maxwell, who took the photo, the goose was spotted at Cook Pond in Fall River. Maxwell called Animal Control to let them know what he had found. Several other residents have reported that they too have seen the goose and contacted animal control. If you have any information on how the goose was shot, contact Fall River Animal Control at (508) 324-2037 or Fall River Police at (508) 676-8511.